The world of color in home decor is very much like the world of color in fashion. 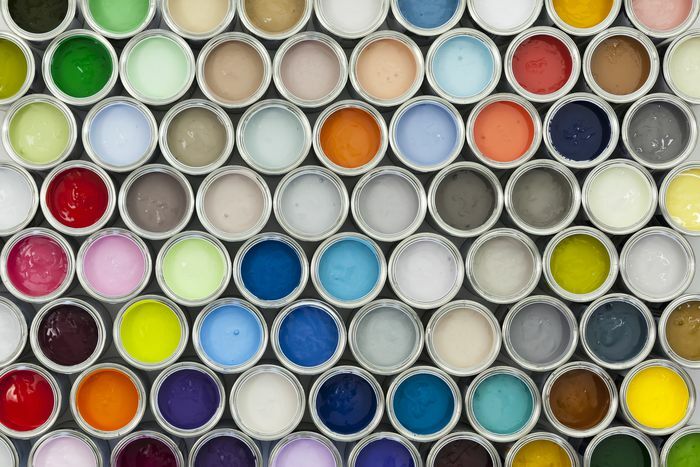 The popularity of different shades waxes and wanes as tastes change and trends come and go. So the hot color for one year is rarely on top of the heap for long. Which is good, because it helps to keep things moving and ensures that we aren't all wearing or living with the same shades for too long. But every now and again a color experiences a true moment - or rather we experience a moment with it. Rather than making it the focus of a short-lived trend we come to a whole new way of looking at a color, thinking of it, and using it in our homes. That's exactly what's been going on for the last couple of years with pink. You may have noticed that it's everywhere in decor lately. You might even have found yourself reading articles by experts trying to explain the phenomenon suddenly named "Millennial Pink." Whether the name gives you goosebumps or pause, the effect is the same from a decor standpoint: pink is in, and it's not going anywhere anytime soon. So let's take a new look at our old friend pink, what's different, what's brand new, and what will look great in your home. For proof positive of pink's new position at the top of the color heap, look no further than the image above. 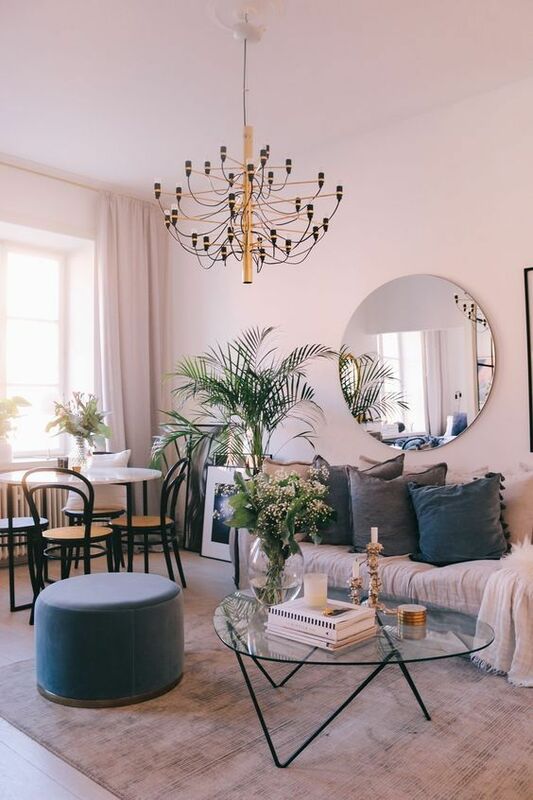 Color blocked rooms covered in shades of pink are becoming more and more the norm, and even when pink isn't the central attraction it still seems somehow to be stealing the show. This room takes the former approach with a room that's covered from head to toe in the cheery color. Commitment and subtlety are the name of the game when going all in on pink in a room. The continuation of the color from the walls to the ceiling to the drapes to the rug creates an enveloping sense that makes you feel like you are inside the color At the same time, using a shade of pink that isn't too hot or too strong keeps the space from looking cartoonish. The most striking feature of our new love affair with pink is that it has suddenly become neutral. Whether it's being used as a wall color to set the tone or as a calming element in a colorful or pattern heavy environment, today's pink is all grown up and helping to create moments of calm in hectic spaces. The pink chair in this space is a perfect example of using pink as a colorful neutral to keep a space from feeling too frenetic. With so much going on on the walls and ceiling, the chair is the eye of the storm and the center of attention. At the same time, a pink chair can still serve as a cheery and youthful pop in a decidedly moody space. In a space populated entirely by neutrals running from light to dark, the pink chair is able to act as a ray of light while keeping the calm, even meditative feel of the overall room. Though no longer reserved strictly for kid's rooms pink remains the best color option for helping a room to take itself a little less seriously. Along with its newfound sense of responsibility, pink is finding itself in a number of new and exciting color combinations. Deep oranges and light pinks are rarely the first picks for furniture and curtains alone much less together. Yet in this space, they make a picture-perfect pair. New shades of pink are finding their way to the fore of contemporary design. This new crop is defined by their paler, more subdued tone, which in turn lends itself to more sophisticated looks. Here a shade so pale as to barely be identifiable as pink provides such a striking backdrop to a dark blue piece of art that the combination defines the room. Pale pinks can do more than create an eye-catching feature. They are just as fetching when they're allowed to take over the whole room. This cozy office space makes perfect use of pink as a neutral wall color. The shade mixes perfectly with the deep brown of the tables and floors, even mixing with the green plant color showing off the versatility and style of the new pink. One of the most enticing reasons to add pink to a room has always been its ability to warm up a space. A soft blush tone, like the one used on the walls in this home, creates an enchanting environment that is easy to be in. When compared to the cool green space adjoining the room the change is temperature is apparent. Some things never change. Pink and blue have always been a classic color combination and nothing about the current renaissance that pink is enjoying seems likely to change that. This space shows, in a simple and understated way, why some traditions never find their way onto the shelf. The interplay of colors between the chairs and wall art is subtle yet beautiful and it absolutely defines the feel of this room. While pink continues to be celebrated for its warmth, the hotter end of the pink scale continues to be a strong presence. In this space, a vibrant pink only serves to bring out more of the color in the room. Pink is one of nature's most beautiful colors, adorning many of the flowers that we most love to bring into our spaces. Because of that, pairing pink with natural materials like wood is a seamless way to blend a feeling of nature into a modern space. All it takes in this room is a pair of petal-colored side chairs around a rough-hewn wood coffee table to create the same smile-inducing effect as a rose in bloom. It's always fun to fill your space with elements that are on-trend, but it's even more fun when you can bring several trends together in one. Wallpaper has been riding a trend surge every bit as strong as the one that's carrying pink right now, bolstered by digital printing and removable paper technologies. So if you're planning to use a little paper in one of your favorite spaces, why not mix that trendy design move with one of the world's most popular colors. As the papered walls in this room demonstrate, the biggest benefit to pink wallpaper is the ability to add pattern and even texture to your color choice. The addition will bring another layer of design savvy to your space to complement your trend-savvy color choice.